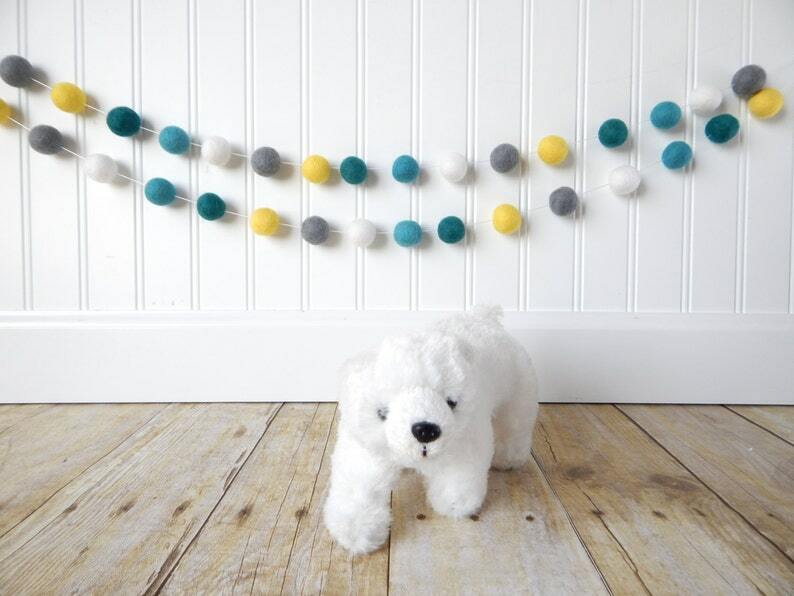 This adorable wool felt ball garland is made with alternating 3/4 inch cool gray, daffodil, white, aqua and teal balls and will add a dash of color to your home or party. * Please keep the garland out of the reach of children. 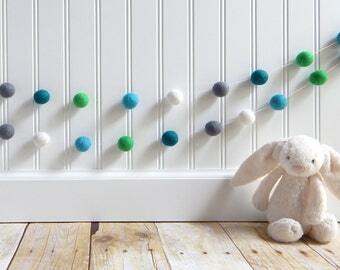 Great colors and just a touch of whimsy to sons nursery! Well made and perfect for my twins' nursery!!!! Love it! !